for associating with people we considered “tax collectors and sinners”? The two parables are complementary in that the “seeker” is male in the first parable and female in the second. Both are wonderfully portrayed as well-rounded persons, however – no stereotyping here. The shepherd is very tender, the woman efficient and business-like. Though the “seekers” are the main characters, we can be imaginative enough to identify with the lost sheep or the lost coin. not private but poured out and shared with the whole community. “There is greater rejoicing… ” In the gospels Jesus always seems to prefer sinners to the just. remembering our experience as parents or teachers. when they feel “lost”, and are in greater need of care and reassurance than the others. not learn. We know the paradox: we can only be found when we are lost. The lost coin was a precious coin to the lady in question in the gospel. The coin would have been part of her dowry which with the other nine coins would have been made into a crown she wore on her head. So all could see now that her crown was flawed and a bit of mockery and fun might follow Jesus knew when he told the story that it would reach the heart. He would also know that people might make the connection – as every coin was essential to the crown, so we are all valued and essential to God. 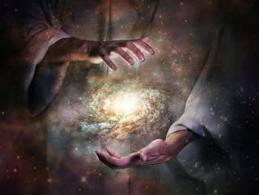 There are no accidents of birth, and nobody excluded from the promise of life forever with God. The woman would go to great efforts to find the lost coin. Jesus went to great efforts to save each of us, even to crucifixion and death. We are worth the death of God, and are now the joy of God’s fife, like a child to a parent, and like the joy of friends to each other. The love of God is an active love, reaching to us in mercy and forgiveness, always building ,us up. This searching for all his people in mercy is the most characteristic quality of God, if we can put it so humanly. We are all children – on each birth and baptismal certificate, we can write a second father’s name – God! The parable of the lost sheep: Shepherding demanded toughness and courage – it was not a job for the weak and fearful. Responsible for every sheep in his charge, a shepherd was expected to fight off everything from wild animals to armed poachers. Shepherds often had to negotiate the rugged terrain of the wilderness to rescue a lost sheep. 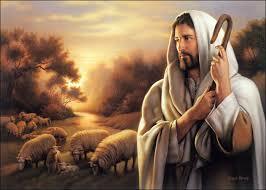 Like the responsible shepherd, God does whatever is necessary to seek out and bring back to his loving providence every lost soul. Every parish religious education direction knows at least one family who is perpetually lost — the parents who never read any of the materials sent home, who always seem to “lose” their child’s class schedule, who are just too overwhelmed with work, class and sports schedules to make it to Mass on Sundays as their family. The D.R.E. spends as much time following up with visits and telephone calls to this one family as is spent organizing the entire program for the other 300 or 400 or however many other families involved in the program; the child’s teacher devotes more time helping their unprepared child grasp that week’s lesson than with the other children in the class combined. But the moment does come when the “lost” is “found” — when the child comes to understand — really understand — how much God loves us, that the child’s First Communion or First Confession becomes a moment of conversion for the whole family, when the parents come to appreciate what the D.R.E., the teachers and the parish community do for them. Dealing with the “lost families’ is frustrating, aggravating and, yes, unfair and unjust. But, through the grace of God, they are “found.” It is an experience of great joy for the family — and for the D.R.E. and the teachers. The first reading from the book of Exodus reminds us of the folly and infidelity of the Israelites as they journeyed to the Promised Land, while it also reminded them of God’s unbounded fidelity. By wanting to have for themselves a God conveniently at hand –the golden calf, –the Israelites, just like the prodigal son, left their God and Father who had begotten them at the Exodus from Egypt. But God does not abandon them. When Moses pleads on their behalf, God remembers his promises. 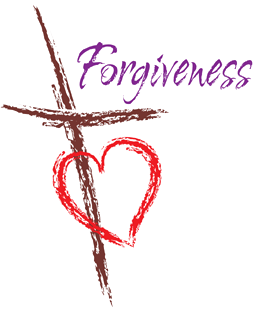 His grace and his pardon will always be greater than the sins and the unfaithfulness of his children. In her novel Five for Sorrow, Ten for Joy, author Rumer Godden tells an intriguing tale. The heroine of the story is Lise an English army girl who falls on hard times and becomes a prostitute after the liberation of Paris in World War II. Within a short time, she becomes the leading Madame in one of Paris’ smartest brothels owned by a man named Patrice. But Patrice soon tires of Madame Lise as his mistress and she is humiliated. In trying to help a younger prostitute escape from the same fate she suffered, Lise shoots and kills Patrice. So she is sent to prison where she meets the French Dominican Sisters of Bethanie. This is a Community dedicated to serving whores, drug addicts and vagrants; some of the sisters were once themselves such unfortunates. Lise becomes one of the Sisters of Bethanie. -Sister Lise is a prototype of the lost sheep and the lost coin in today’s gospel, reminding us that God’s grace is greater than our sins. In today’s Gospel Jesus tells three parables. A shepherd seeking his lost sheep, a woman seeking her lost money, a father patiently awaiting the return of his son: the three are figures of the Father of mercy. 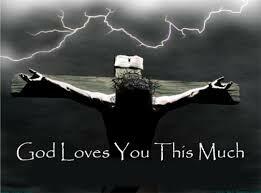 Despite the length of today’s gospel, and the amount of material in it, there is only one message, i.e. God wants us to turn and to return to him. 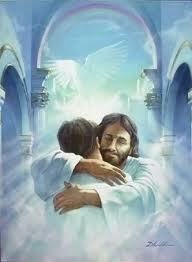 We belong to him and he knows that we cannot find happiness apart from him. 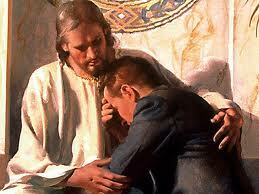 The message of the entire Gospel can be summarized in the story of the Prodigal Son. Jesus was on this earth for thirty-three years. However, if he were here for just three minutes, he could have told us this story. There is always a hug waiting for us at the end of the journey home. The father’s welcome is extraordinary. It is interesting to note that the father ordered sandals for his feet. Sandals were worn only when people went on a journey. Giving his son sandals was telling him that he was free to leave again, should he decide to do so. Our Father’s arms are open wide to give us the freedom to leave anytime we desire and to remind us that we are always welcome! There is a story told about two brothers who were convicted of stealing sheep. They were each branded on the forehead with the letters ‘ST’ – Sheep Thief. One brother immediately ran away from the area and attempted to build a new life in a foreign land. Even there, people asked him about the strange letters on his forehead. He wandered restlessly and eventually, unable to bear the stigma, took his own life. The other brother took a different approach. He said to himself, “I can’t run away from the fact that I stole sheep. But I will stay here and win back the respect of my neighbours and villagers.” As the years passed, he built a reputation of integrity for himself. One day, a stranger saw the old man with the letters branded on his forehead. He asked a citizen of the town what the letters stood for. The villager replied, “It happened a great while ago. I’ve forgotten the particulars, but I think the letters are an abbreviation of ‘Saint’. He was a rebel, a college drop-out, a carouser, and a partier. He smoked, he drank Johnnie-Walker, he was a brawler, and had more run-ins with the law than you would care to count. 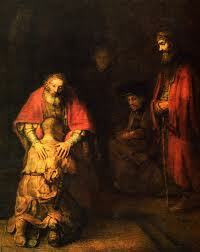 By his own admission, he was the quintessential prodigal son. But now he stands to succeed the most respected, admired, and perhaps famous American of the twentieth century, Billy Graham. His name is Franklin Graham. Today Franklin Graham not only has a tremendous, benevolent ministry called The Samaritan Purse, and meets needs all over the world, but he is now preaching the gospel just as his dad did, to thousands and thousands of people. 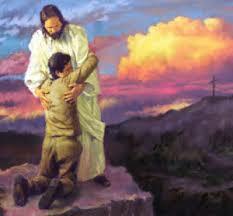 He is where he is today because he had a father who made sure the door was always open for his prodigal son. For two days in October of 1987, not just a community, not just a state, not just a nation, but the entire world was watching with bated breath the drama of an eighteen-month-old little girl named Jessica McClure who had fallen twenty-two feet through an eight-inch opening in an oil pipeline at a day-care center. For fifty-eight solid hours over two and a half days, drilling experts, highway construction equipment, pneumatic drills, special air vents, high pressure hydraulic drills, were expended in an unbelievable Herculean effort to rescue this one little girl. When she was finally pulled from that hole, an entire world cheered. Despite the size and diversity of the United States, the drama of Baby Jessica's being lost and found touched hearts nationwide. Every parent hugged his/her own child a little tighter. For just a moment in time, one lost little girl became lost to each of them. And when everyone's child, Baby Jessica, was found at last, an entire nation rejoiced. In today's gospel text, Jesus has the audacity to suggest to his audience, especially those surly, grumbling Pharisees and scribes, that this is the kind of rejoicing that goes on in heaven every time a sinner repents. There's an old, old story, that I think is still funny. The phone rings and a little boy answers in a whisper: "Hello?" The caller says: "Hi, is your Mommy there? "Yes!" "Can I talk to her?" "No!" "Why not?" "She's busy." "What about your Daddy, can I talk to him?" "No! He's busy." "Well, is there anyone else there?" "My little sister." "Is there anyone else there? Another adult?" "Uh, huh. The police." "Can I talk to one of them?" "No, they're busy." "Is there anyone else there?" "Yes, the firemen." "Can I talk to one of them?" "No, they're busy, too." Caller: "Good heavens, your whole family's busy, the police and fire departments are there and they're busy! What's everybody doing?" The little boy giggled and whispered: "They're looking for me." Today's passage of Scripture is about searching and finding. And that's an old story that illustrates the frantic nature of people who have lost something and are in search of it.